Historian Sydney E. Ahlstrom identified a "great international Protestant upheaval" that created Pietism in Germany and Scandinavia, the Evangelical Revival, and Methodism in England, And the First Great Awakening in the American colonies. This powerful grass-roots evangelical movement shifted the emphasis from formality to inner piety. In Germany it was partly a continuation of mysticism that had emerged in the Reformation era. The leader was Philipp Spener (1635-1705), They downplayed theological discourse and believed that all ministers should have a conversion experience; they wanted the laity to participate more actively in church affairs. Pietists emphasized the importance of Bible reading. August Hermann Francke (1663-1727) was another important leader who made the University of Halle the intellectual center. Pietism was strongest in the Lutheran churches, and also had a presence in the Dutch Reformed church. In Germany, however, reformed Reformed Church's work closely under the control of the government, which distrusted Pietism. Likewise in Sweden, the Lutheran Church of Sweden was so legalistic and intellectually oriented, that it brushed aside pietistic demands for change. Pietism continues to have its influence on European Protestantism, and extended its reach through missionary work across the world. The same movement toward individual piety was called evangelicalism in Britain and its colonies. The most important leaders included Methodists John Wesley, George Whitefield and hymn writer Charles Wesley. Movements occurred inside the established state churches, but there was also a centripetal force that led to partial independence, as in the case of the Methodist and Wesleyan revivals. The First Great Awakening was a wave of religious enthusiasm among Protestants that swept the American colonies in the 1730s and 1740s, leaving a permanent impact on American religion. Jonathan Edwards, perhaps most powerful intellectual in colonial America, was a key leader. 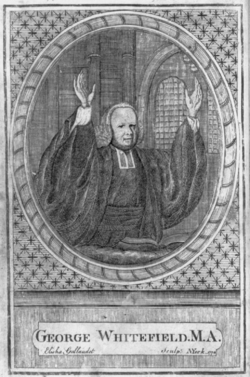 George Whitefield came over from England and made many converts. The Great Awakening emphasized the traditional Reformed virtues of Godly preaching, rudimentary liturgy, and a deep sense of personal guilt and redemption by Christ Jesus. It resulted from powerful preaching that deeply affected listeners with a deep sense of personal guilt and salvation by Christ. Pulling away from ritual and ceremony, the Great Awakening made religion personal to the average person. Across Europe the Catholic Church was in a weak position. In the major countries, it was largely controlled by the government. The Jesuits were dissolved in Europe. intellectually, the Enlightenment attacked and ridiculed Catholic Church, and the aristocracy was given very little support. In the Austrian Empire, the population was a heavily Catholic, but the government seized control of all the Church lands. The peasant classes continue to be devout, but they had no voice. The French Revolution of the 1790s had a devastating impact in France, essentially shutting down the Catholic Church, seizing and selling its properties, closing its monasteries and schools and exiling most of its leaders. Throughout the inculturation controversy, the very existence of Jesuits were under attack in Portugal, Spain, France, and the Kingdom of Sicily. The inculturation controversy and the Jesuit support for the native Indians in South America added fuel to growing criticism of the order, which seemed to symbolize the strength and independence of the Church. Defending the rights of native peoples in South America, hindered the efforts of European powers, especially Spain and Portugal to maintain absolute rule over their domains. 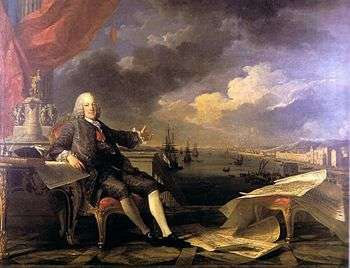 Portugal's Sebastião José de Carvalho e Melo, Marquis of Pombal was the main enemy of the Jesuits. Pope Clement XIII attempted to keep the Jesuits in existence without any changes: Sint ut sunt aut not sint ("Leave them as they are or not at all.") In 1773, European rulers united to force Pope Clement XIV to dissolve the order officially, although some chapters continued to operate. Pius VII restored the Jesuits in the 1814 papal bull Sollicitudo omnium ecclesiarum. The expansion of the Roman Catholic Portuguese Empire and Spanish Empire with a significant role played by the Roman Catholic Church led to the Christianization of the indigenous peoples of the Americas such as the Aztecs and Incas. In the Americas, the Roman Catholic Church expanded its missions but, until the 19th century, had to work under the Spain and Portuguese governments and military. Junípero Serra, the Franciscan priest in charge of this effort, founded a series of missions which became important economic, political, and religious institutions. ↑ Richard P. Heitzenrater, Wesley and the people called Methodists (2013). ↑ Frank Leslie Cross and Elizabeth A. Livingstone (2005). The Oxford Dictionary of the Christian Church. Oxford UP. p. 366. ↑ Cross and Livingstone; and Elizabeth A. Livingstone (2005). The Oxford Dictionary of the Christian Church. p. 366. McManners, John. Church and Society in Eighteenth-Century France (2 vols. Oxford, 1998) 709–11.